Clemens Leo Novak, age 96 of Carlyle, passed away at his daughter’s home in Somerville, Alabama on Friday, November 9, 2018. Mr. Novak was born on June 3, 1922, in Radom, Illinois, to Walter and Rosalie Novak. He married Rose (Wiese) Novak on May 7, 1949, at St. Ann Church in Nashville, IL and she preceded him in death on December 11, 2015. 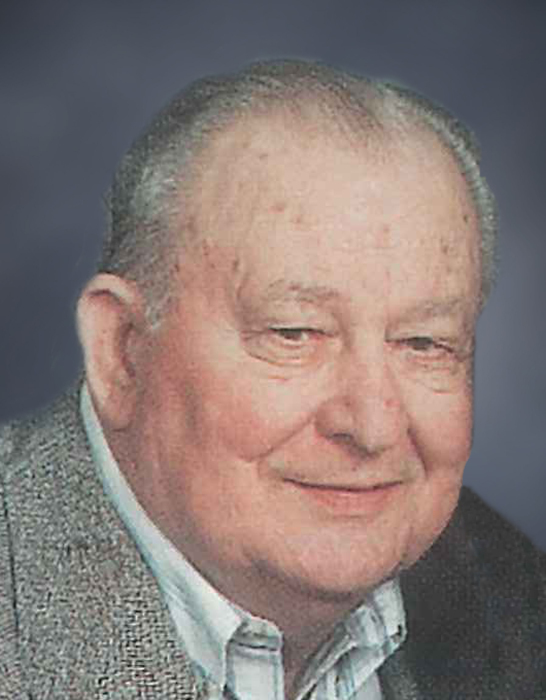 Surviving are his children – Theresa Harvell (Robert), Robert Novak (Camille), Susan Nadler (Leroy), Sharon Novak, Patricia Wilmes (Michael), Marilyn Porter, Judith Lynn (James), and Clemens Novak (Lawana); 13 grandchildren and 10 great grandchildren; a sister – Marie Preis, and a brother – Walter Novak. He was preceded in death by his wife – Rose Novak; his parents – Walter and Rosalie Novak; his siblings – Dominic, Adeline, Lorraine (Conlyn), Albert (Irene), Bernice (Roland), Rita (Chuck), and Tom; and a brother-in-law – Herman Preis. Clemens is a veteran of World War II, where he served in the United States Navy, Seabees as Seaman First Class USNR, in the 92nd Battalion from March 30, 1945 – April 3, 1946. He was stationed in places such as Pearl Harbor, Tinian, and Guam. Clemens was a devoted husband and father, and he loved spending time with his grandchildren and great grandchildren. He was a member of St. Mary’s Catholic Church and he loved fishing, gardening, listening to music, and polka dancing. Funeral Mass of Christian Burial will be celebrated at 10:00 A.M. on Thursday, November 15 ,2018, at St. Mary’s Church in Carlyle with Fr. George Mauck, celebrant. Interment will follow at St. Mary’s Cemetery. Visitation will be held at Zieren Funeral Home on Wednesday, November 14 from 5:00 – 7:00 and on Thursday morning from 8:00 – 9:30 A.M.
Memorial contributions in his memory are suggested to St. Mary’s Church in the form of Masses, and they will be received at Zieren Funeral Home.